The story about the Levasseur PL-8 “L’Oiseau Blanc” is almost too impossible to believe. 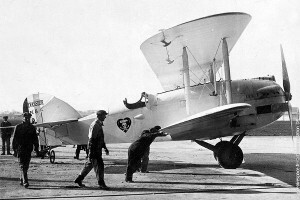 Charles Nungesser, known as French First World War aviation’s “ace of aces” and François Coli, his navigator, took off from Paris on May 8, 1927, in the hope of reaching New York. However, they vanished in their Levasseur PL-8 aircraft just 13 days before Lindbergh completed his landmark New York to Paris flight aboard the Spirit of St. Louis. The mystery of their demise has remained intact for the past 80 years and observers at the time assumed they had gone down over the English Channel or off the coast of Ireland. Bernard Decré, a retired French pilot, now claims to have found US Coast Guard archival records suggesting the Frenchmen made it across the Atlantic. The document from August, 1927 records the sighting of a “pair of white wings” drifting in waters off Boston. Mr Decré believes the pilots crashed in the vicinity of Saint-Pierre-et-Miquelon, the French islands between Newfoundland and Nova Scotia, after stormy weather forced them to abandon their plans for a direct flight. The document, he said, tallied with earlier eyewitness references to aircraft parts floating in the same area. He has pieced together accounts of more than a dozen Newfoundlanders who saw a plane flying over the southeast of the islands and from several French fishermen who heard an aircraft in the thick fog enveloping Saint-Pierre that day. Mr Decré has not ruled out the possibility that the pilots were shot down by associates of Al Capone, as the French island were a prime destination for bootleggers during the Prohibition and Capone was a regular on Saint-Pierre. The other possibility is that the plane was taken down by the US coastguard who mistook it for a smuggler’s craft. Parts of the archives had been curiously removed. Mr Decré believes storms forced the pilots to abandon their plans for a direct Paris-to-New York flight. The most likely scenario, he said, was that they crashed into the sea after a failed landing in fog. The 3-Views I will be using are from the expedition crew that has started searching for l’Oiseau Blanc for the last 10 years. It is fairly detailed, and yet not. 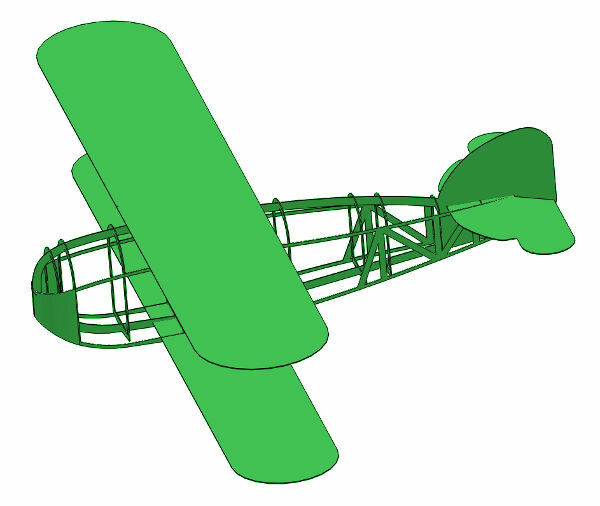 Together with photos of the original aircraft, it should be possible to piece a detailed model together. Is it only me, or does the fuselage of this “Bird” look like a whale? 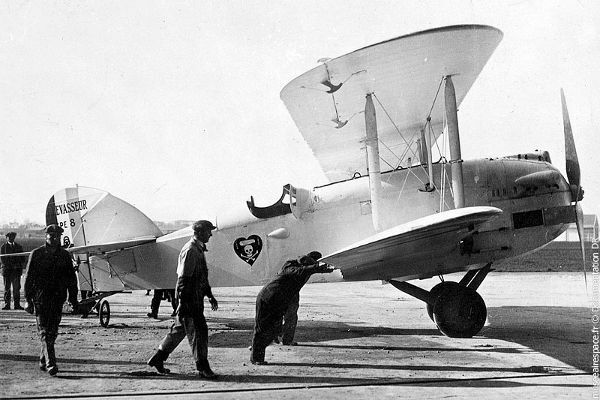 The original aircraft was made of plywood, so it scales really easily. The fuselage mostly consists of simple box-shaped plywood formers. The same goes for the wings, elevators and rudders. The only tricky bit is the engine cowl, which was made of metal. The fuselage sides have now been cleaned up, a crutch has been added to simplify the construction, and the engine cowl has been lofted. There are still some cut-outs in the fuselage formers needed as well as beefing up of the longerons, and then I can move on to the engine and the engine mounting box. Incidentally, the engine mounting box will also be used to hold the lower wings. 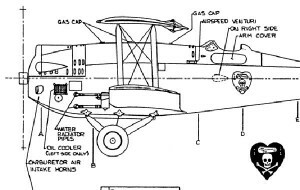 I have discovered that the fuel-tank was a cylindrical drum located horizontally between the firewall and the cockpit, resulting in the aircraft having a flat top there. The 3-view does not match that. I will have to fix it. Petrol tank has a top that is straight. Notches in formers for crutch and upper and lower fuselage formers. 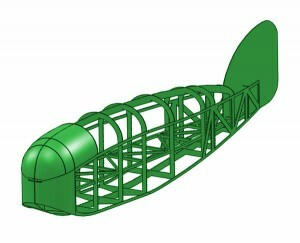 Beef up the main longerons (fuselages sides were made from plywood). 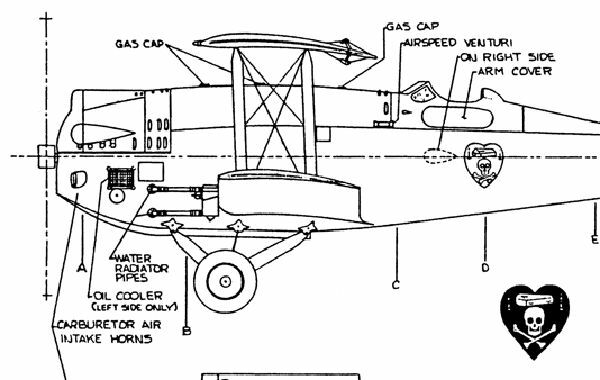 I found this drawing of the aircraft. I LOVE IT! At the time of writing, I am preparing my workshop for the winter, so it could take a little time to get started on this aircraft, but it is really one of my favourites.